David Cromer is a New York-based director and actor. He appeared on Broadway as Karl Lindner in the 2014 revival of A Raisin in the Sun, and Off-Broadway as the Stage Manager in Our Town, which he also directed, at the Barrow Street Theatre. He appeared in the HBO series The Newsroom, the Showtime series Billions, and in the motion picture The Meyerowitz Stories (New and Selected). 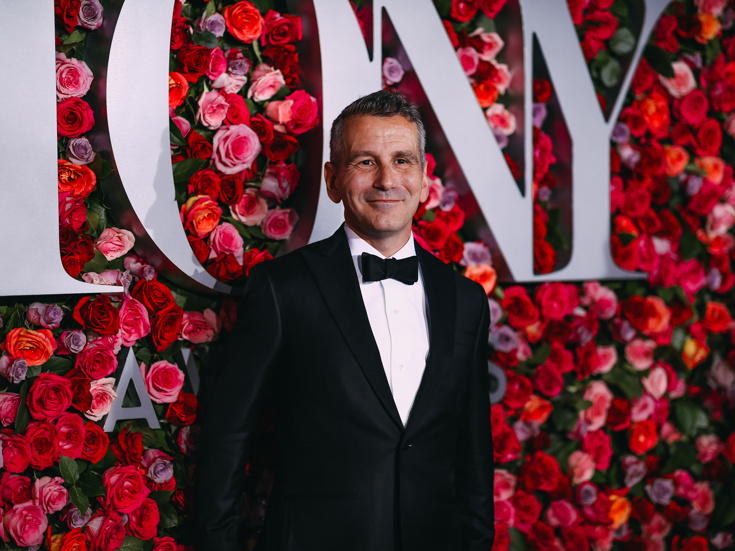 As a director, his New York credits include The Band’s Visit (2018 Tony Award for Best Direction of a Musical, Ethel Barrymore Theatre); the Broadway revivals of Brighton Beach Memoirs and The House of Blue Leaves; The Treasurer (Playwrights Horizons); Man from Nebraska (Second Stage Theatre); The Effect, Orson’s Shadow, and Tribes (Barrow Street Theatre); Women or Nothing(Atlantic Theater Company); Really Really (MCC Theater); When the Rain Stops Falling and Nikolai and the Others (Lincoln Center Theater); and Adding Machine(Minetta Lane Theatre). Other directing credits include Come Back, Little Sheba (Huntington Theatre Company); The Sound Inside (Williamstown Theatre Festival); and Our Town in London, Chicago, Los Angeles, Boston and Kansas City. Cromer has received a Tony Award, Drama Desk Award, three Obie Awards, three Lucille Lortel Awards, a Joe A. Callaway Award, four Jeff Awards, and in 2010 was made a MacArthur Foundation Fellow.